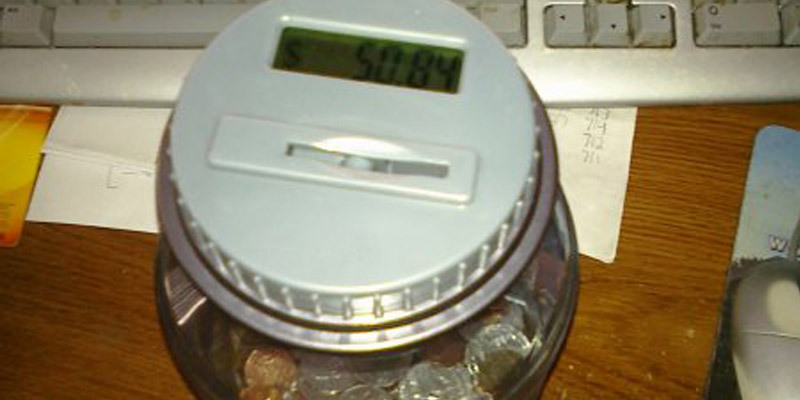 It’s a habit established thanks to family, and one that I’ve maintained for some time now; in fact, I blogged about it five years ago: My efforts to save my loose change and set it aside for a rainy day. It came back into mind recently, when I found an identical replacement for my original change jar, above, which I managed to misplace after turning in change awhile back. I was at Sears (I step inside a Sears perhaps once a year, just to poke around) and saw a wall of my change jar of choice for $2.99. That also marked the most I spent in a Sears in the past 10 years. But I digress. I find myself spending cash less frequently, due to taking advantage of things like the DD Perks (which requires using their card). That said, it still remains an important source of savings for me, which has become pretty amazing after a number of years of collecting change. Along with tools like the increasing savings table that I wrote about here last December, it’s another easy way to set money aside if other methods are proving challenging. Posted in Personal Life and tagged change, savings, Sears. Bookmark the permalink.